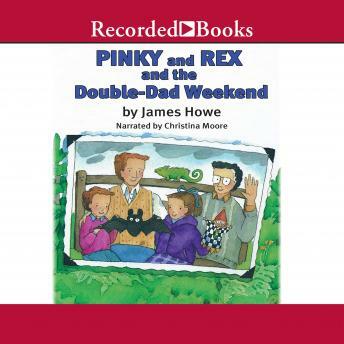 Best friends Pinky and Rex have been looking forward to this weekend for a long time. It's the weekend they're going camping alone with their dads. Everything is ready: the station wagon is stuffed with sleeping bags, cartons of food, cooking equipment, and a brand-new tent. Now all they need is nice weather. However, when rain starts to fall right after they leave, their plans for camping and hiking in the woods are washed out. Will Rex's father find two days of activities in his copy of 101 Things to Do with Your Kids, or will they be able to find exciting stuff to do just by looking at the map? In this seventh book about an inseparable pair of best friends, acclaimed narrator Christina Moore again teams with author James Howe to bring to life a story of true friendship-and a weekend adventure that is full of childlike innocence and fun.